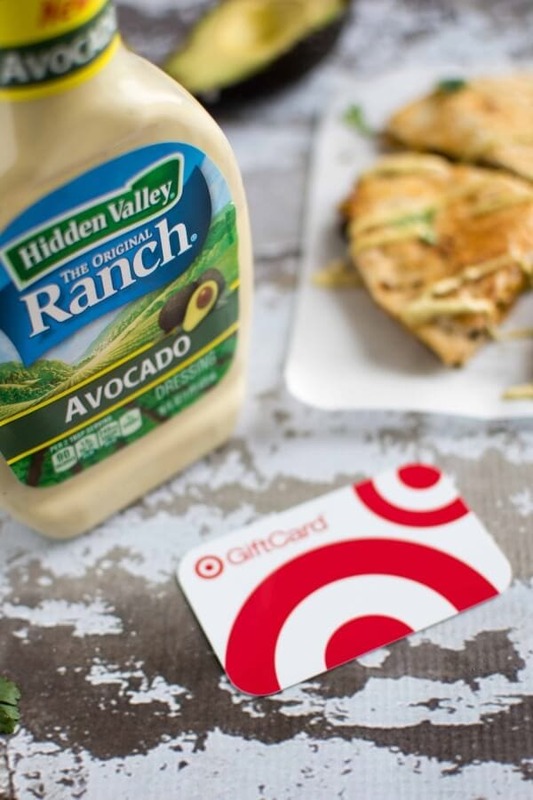 Today’s post and giveaway is sponsored by Hidden Valley. As always all opinions are my own. 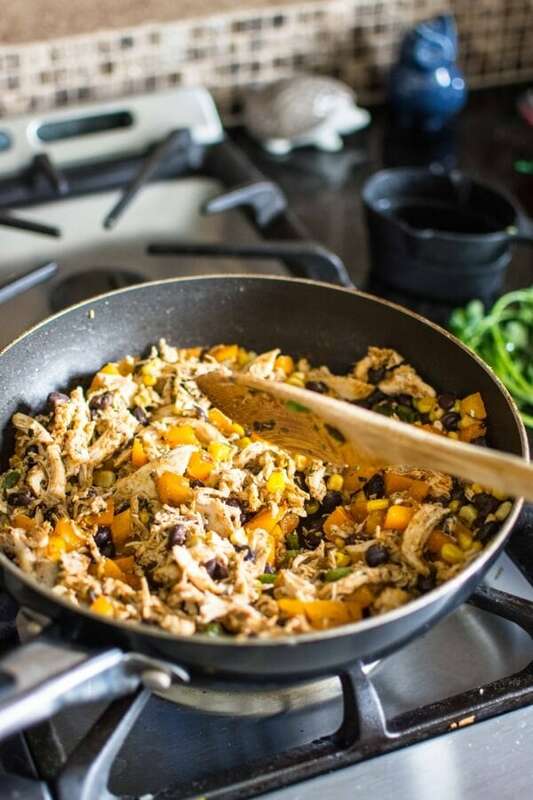 It’s no secret that I love quick fix dinners that have minimal fuss but maximum flavor. 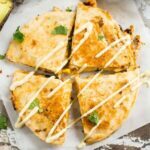 Inspired by one of my favorite restaurant appetizers these Southwest Chicken Quesadillas don’t disappoint! Shred up some leftover chicken or grab a rotisserie and sauté a few veggies, toss in a bit of seasoning and your filling is ready to go! 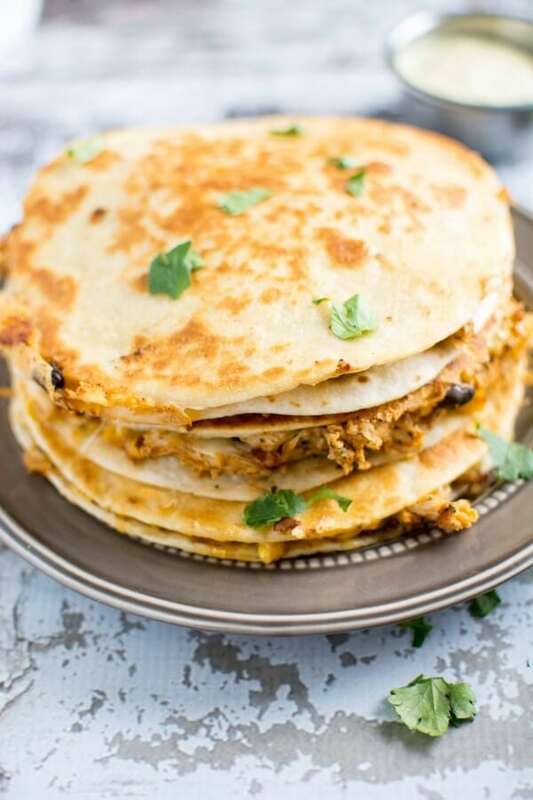 Melt it all up in your favorite tortillas with a little (or in my case, a lot!) of cheese and dinner is done. 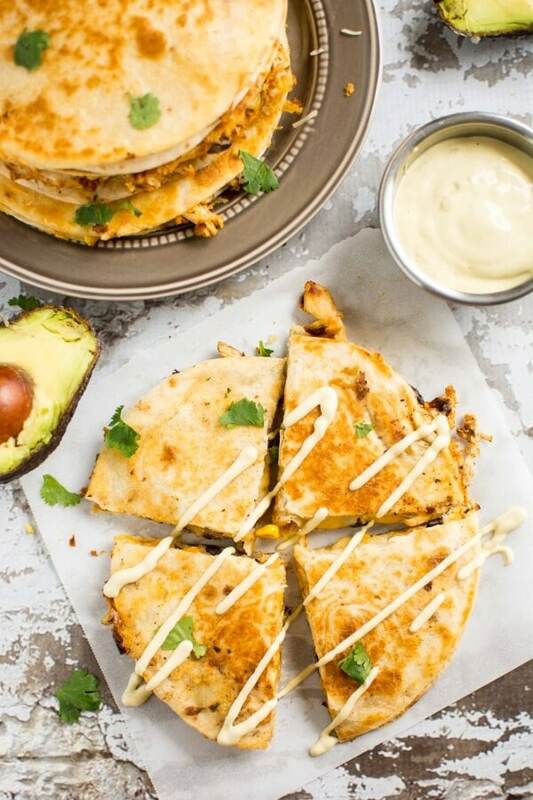 Once you drizzle it it load of avocado ranch that is! 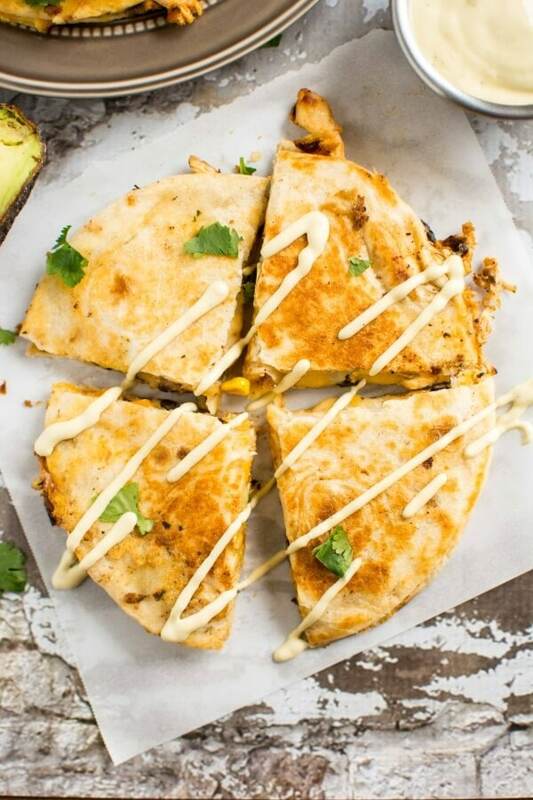 Because quesadillas NEED ranch! 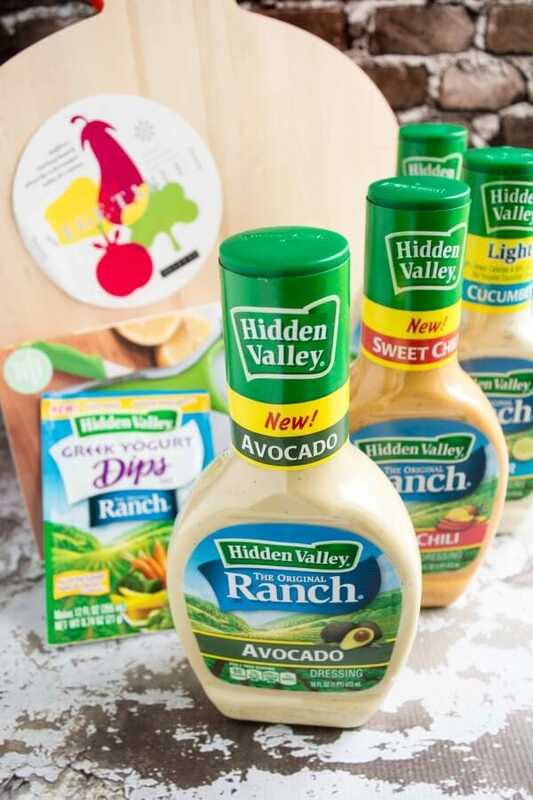 I got a sampling of the new Hidden Valley dressing flavors to try and so far I’m totally hooked on the avocado! You guys need to try it! Between me and my daughter we practically go through the regular stuff by the gallon at our house but the new flavors are gonna be keeping us busy for a while! Not to mention the new dip and dressing mixes that go with greek yogurt. Maybe now she will finally eat her veggies! AND a $75 Target gift card! 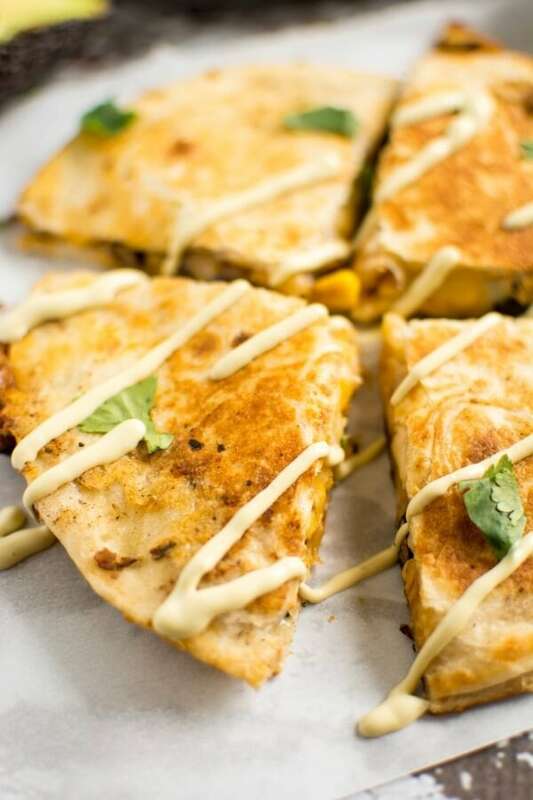 Make sure you whip of some of these quesadillas and get to dipping! One of my favorite easy dinners! Perfect for busy/hot summer days when you don’t want a lot of hassle but a plain old sandwich just won’t do! I would use the Avocado flavor in an egg salad sandwich.